The latest issue of Logistics Management arrived on my desk earlier this week, and within it, there is a good article by Bridget McCrea which speaks to four trends which are currently shaping the face of mobility. Specifically, the trends that are pushing mobility deeper into every-day use and a look at just how far we are from experience real-time supply chain management. The advancement of cellular technology – Any concept is only as good as the technology it rides upon and the capabilities of both the mobile devices and mobile software are advancing exponentially. In some cases, cellular technology has partially displaced traditional fleet solutions like in-cab displays and on-board computers and legacy methods of moving and tracking freight outside the four walls. 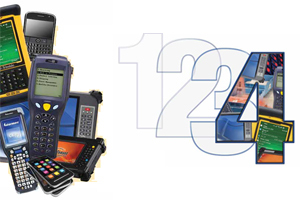 The decline of device costs – Ten years ago, it would have made absolutely no sense from a pricing standpoint, for the average shipper to supply its managers, employees and drivers with handheld devices. Today, that proposition is much more of a reality which means supply chain mobility is on the radar screen of more shippers. The influx of shippers using mobile to gain visibility – This would be the age-old peer pressure motivation which motivates shippers to pay attention to advancements in mobile technology. When one company gains a leg up from added visibility, more and more follow suit. The consumer-led mobile charge – Now, more than ever, the average consumer has a powerful influence on what sort of technology should be expected within the business world. Our “need to know everything” philosophy in our personal lives have spilled over into our job responsibilities. Much more is expected from companies looking at mobility simply because they are much more informed. Be sure and read the entire article here.